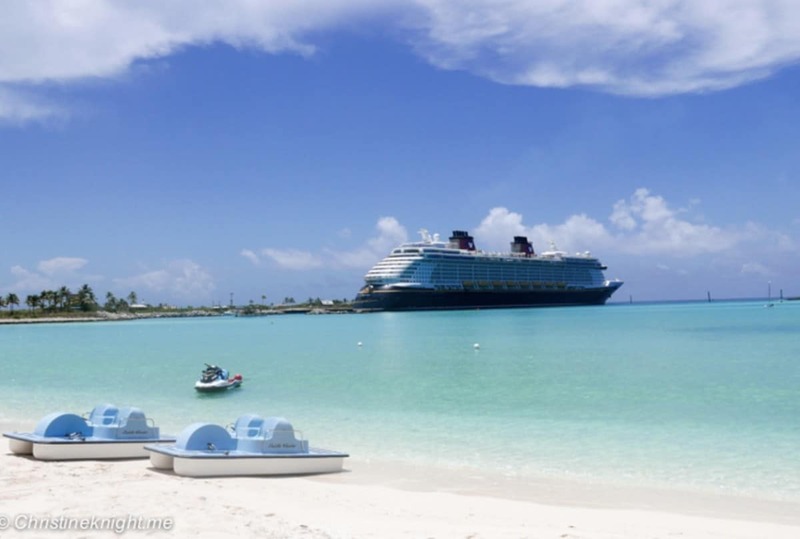 Have you heard of the private island in the Bahamas reserved exclusively for Disney Cruise Line (DCL) guests Castaway Cay? The island is only used by guests debarking from the Disney boats and so it’s possible to enjoy a fun-filled day without spending an extra cent. In fact most of the activities on the island are Free of Charge for Disney Cruise Line guests, such as tram transport to the different parts of the island, a full buffet lunch and beverage station, several gorgeous beaches, character meet and greets, child care for kids aged 3-12 at Scuttle’s Cove and the two water play areas, Pelican Plunge (more below) and Spring-a-leak. Find out how Adventure Baby and her family got on when they visited Castaway Cay here.